Espar’s Airtronic 5 Air Heater is designed for applications such as Medium Cargo, Marine, Utility Vehicles, School Buses and RV’s. This Air Heater combines a high heat output with a relatively small size. 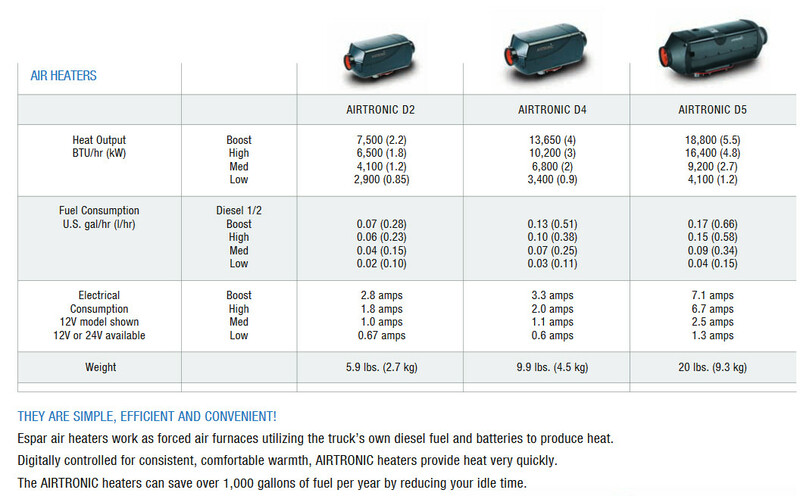 Diesel and Gasoline versions are available.